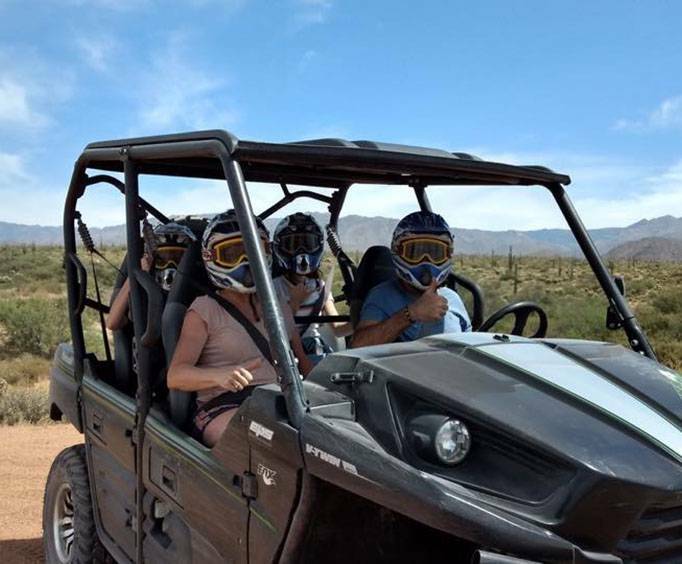 With ATV & UTV Adventure Tours, you will have the thrilling experience of riding on or driving either an ATV or UTV through some of Arizona's most enchanting landscapes. Trek through the Snoran Desert in style with on an all-terrain vehicle, seeing all the flora and fauna of the region. These unforgettable tours are the perfect opportunity to get outdoors and experience first-hand the adventure Arizona offers just outside Phoenix. Traverse the rocky slopes and ford creeks. Maneuver your way across flat desert trails. See animals like bighorn sheep, horned toads, jackrabbits, and some pretty interesting desert birds. There are all sorts of exciting and marvelous species that are native to the region for you to splot along the way. This is a great opportunity for a more extreme version of sightseeing and for those who enjoy being active. Take off on some rugged trails, and create your own exciting adventure! As part of your vacation rent yourself an ATV or UTV for your excursion, or ride as a passenger as you zoom across the marked trails. Don't pass up your opportunity to be a part of a desert experience like none other. Book your reservations today! 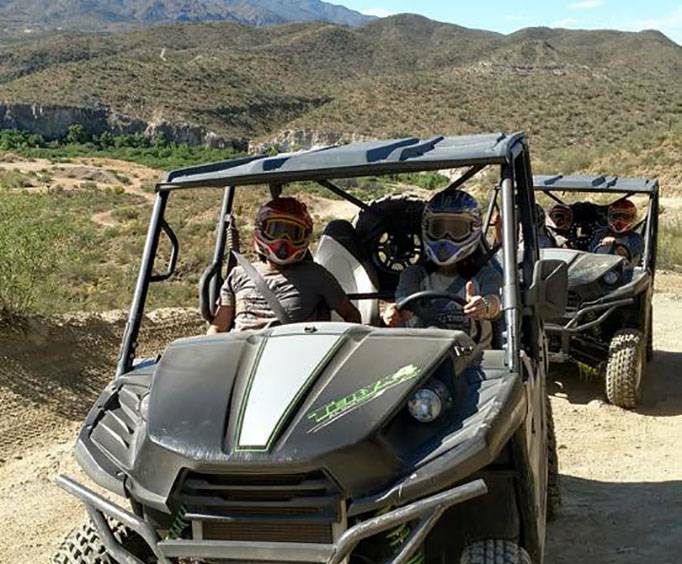 Have an extremely memorable adventure on the Guided Arizona ATV Adventure, where you will be taken through some excitingly rugged terrain on an ATV. Tour lasts roughly 3.5 to 4 hours. Book your reservations today! 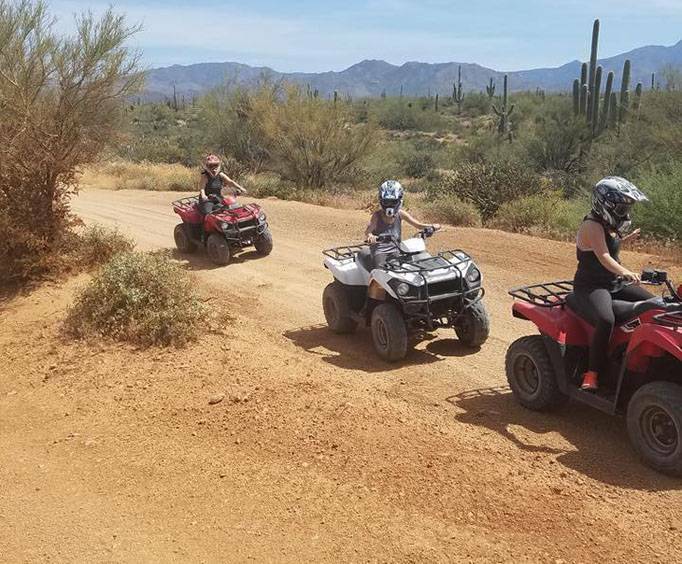 This option is a great way to simply have fun for the day, with the Guided Arizona ATV Adventure that includes complimentary transportation from your hotel to the trails. Tour lasts approximately 3.5 to 4 hours. Check out this amazing option today! The ATV Passenger Rental will get guests a passenger seat on the back of an ATV as an experienced guide will take you through some of the greatest scenery in Arizona, and give you detailed pieces of knowledge pertaining to the fauna and flora of the region, as well as history and folklore. Tour lasts about 3.5 to 4 hours. This is bound to be an unforgettable experience, so be sure to book your reservations today! This option will provide you with admission to an adventure on a 4-passenger ATV, making it easier to take the family all at once. Tour lasts about 3.5 to 4 hours. This is a great addition to anyone's Arizona vacation, so be sure to check it out the next time you consider a trip to Arizona. This amazing option combines the excitement of ATVs and UTVs with the thrills of a Hummer. See some of the most spectacular scenery that Arizona has to offer, and do it in one of the most exciting ways. The tour runs about 3.5 to 4 hours. This is a great addition to any vacation to Arizona, so be sure to book your reservations today!